A Wayne State University police officer was shot in the head while on duty near campus in Detroit on Tuesday night, police said. The gunfire erupted around 6:45 p.m. near Lincoln and Brainard streets in the Woodbridge area of the city, Detroit police told WJBK-TV. The shooting happened a few blocks southwest of the university, according to Detroit police spokeswoman Shanelle Williams. There was no immediate word on what led to the shooting or the condition of the officer and any suspects. Williams said no other details were immediately available. The 27,000-student university issued an alert, advising students and staff to “be aware of your surroundings.” University officials said the officer was undergoing treatment at nearby Detroit Receiving Hospital in downtown Detroit. The investigators were searching for a suspect described as a black male in his 40s wearing a grey skull cap and a brown jacket, according to an unconfirmed report from the student newspaper, The South End. Update on above shooting of WSUPD Officer. 10:08 p.m. EST - Person of interest, Deangelo Davis, is in custody. 9:44 p.m. EST - Police are looking for Deangelo Davis, 5'8", 170 lbs, born June 2, 1985. 8:40 p.m. EST - Suspect description: Police are searching for a black man in his 40s with a full beard. He was wearing a white T-shirt with white and black lettering, a skull cap and a brown jacket. DETROIT (WXYZ) - Police say they have a suspect in custody in connection to the shooting of a Wayne State University police officer. Police say the suspect, 31-year-old Deangelo Davis, had a history of confrontation with officers. Police say 29-year-old Collin Rose is currently on life support at Detroit Receiving Hospital after he was shot in the head after stopping someone on a bicycle near Lincoln and Brainard around 6:30 p.m. Tuesday. Rose is a canine officer who named his partner "Wolverine" in memory of fallen DPD Officer Patrick Hill. "Wolverine" was Hill's code name. He died in October 2013 after being shot in the line of duty by a murder suspect in April of that year. According to officials, it's is not clear exactly why Rose made the stop. Chief James Craig says Wayne State University police made several arrests in the area where the shooting occurred last night. Those arrests were related to a recent rash of car break-ins, where items were stolen. Police say Rose was investigating those break-ins, but it's not clear why he stopped the bicyclist. Officer Collin Rose has died after being shot on Tuesday night. This is a tragedy felt by all of us -- Collin and his family and friends, his fiancée, and our campus and community. 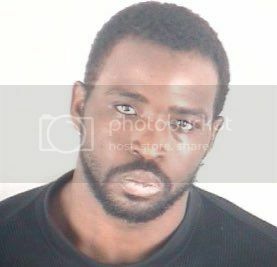 DETROIT - Deangelo Davis was released from jail Wednesday after the charges against him in Wayne State University Sgt. Collin Rose's murder case were dropped. Davis, 31, was arrested Nov. 22 and charged with shooting and killing Rose just off of Wayne State's campus. He was charged Nov. 25 with first-degree murder, felony firearm, murder of a police officer, felony firearm and felon in possession of a firearm. But the charges against Davis were dropped after surveillance video revealed Davis was in a local business at the time of the shooting, sources close to the investigation said. DETROIT - Sources close to Local 4 have confirmed that DNA found at the scene of Wayne State University police Sgt. Collin Rose's murder matches the DNA of Raymond Durham, who is accused of shooting two DPD officers Wednesday night. The DNA was found on a flashlight and glove from the night Rose was shot while working a case in Woodbridge. Rose was shot a little more than a mile away from the area where the two Detroit police officers were shot Wednesday night. Those officers are still hospitalized recovering from their gunshot wounds. One has undergone surgery on his leg. However, Detroit police said there is no match right now to the gun which was found Wednesday night on Durham. It is the same caliber which was used to kill Rose. "At this point (Durham) is not a suspect, but we are certainly looking at that," said Detroit police Chief James Craig. "There are some similarities in terms of appearance, of course, even the manner of attack I can tell you preliminarily there are some similarities." Durham's family said he is schizophrenic and has been homeless, drifting around for the past 40 years. They said they have never seen him be violent. They did not believe he could be capable of murdering someone, let alone a police officer. A 60-year-old man has been found incompetent to stand trial on attempted murder charges in the shootings of two Detroit police officers. A competency hearing was held today in 36th District Court for Raymond Durham. Judge Kenneth King said Durham is to return to court on Aug. 7 for a review his competency status. Durham is accused of shooting the officers in March. They survived. Separately, police Chief James Craig has said DNA links Durham to the fatal shooting of Wayne State University officer Collin Rose in November. The man accused of shooting and injuring two Detroit police officers in March now faces murder charges in connection with the death of Wayne State University Sgt. Collin Rose. Raymond Durham, 61, has been charged with first-degree murder — punishable by life in prison without parole if convicted — murder of a peace officer, possession of a firearm by a felon and two counts of possession of a firearm during the commission of a felony. He appeared in the Frank Murphy Hall of Justice this afternoon in the case. He also had a competency hearing in the earlier shooting case. During the hearing, attorneys said Durham was found incompetent to stand trial, again. It’s the second time a doctor deemed him incompetent to stand trial. Durham, who is being housed at the Center for Forensic Psychiatry, told 36th District Judge Kenneth King he would take medicine prescribed to him. “We want to get him treated and competent so that we can move forward,” King said. He ordered Durham to be evaluated for competency in the new case by the forensic center. Durham, who wore yellow sweatpants and a green sweatshirt, is scheduled to be back in court on Nov. 3. WJBK) - The man accused of killing Wayne State police Sgt. Colin Rose was ruled not competent to stand trial at this time at a hearing Thursday morning, though prosecution is pushing for another opinion. King told prosecution to file a motion and that he'd take a look at it. But as of now, Durham was found incompetent to stand trial at this time. The Wayne County Prosecutor's Office was asked to file a motion by Nov. 17, and the defense to file their brief on Dec. 1. Arguments on the issue were scheduled for Dec. 8, and the next competency review date is scheduled for Feb. 9, 2018. Raymond Durham, 62, appeared Tuesday via video from a psychiatric facility for the competency review hearing before 36th District Court Judge Kenneth King. He was again found by a psychiatrist to be mentally incompetent to stand trial for murder. King set a hearing date for Aug. 8 for another competency review hearing. 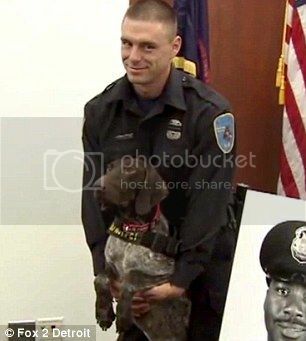 The man accused of killing a Wayne State University police officer and shooting two Detroit cops remains mentally incompetent to stand trial, it was revealed during a Friday court hearing. Because Raymond Durham is unable to stand trial in the shooting case, Wayne County prosecutors on Friday dismissed assault with intent to murder charges against him, and will petition a Wayne County probate judge to have him committed to a secure mental hospital. State law dictates that a trial must be held within 15 months of a competency exam, or the case is moved to probate court. Since it's been 15 months since Durham was first found incompetent on the assault charges, Donaldson dropped the assault charges Friday, and said he will petition to a probate court judge to have him committed to a mental hospital. "The people have a right to reissue charges if he’s found competent to stand trial, and in all likelihood I would petition the court to reissue charges," Donaldson told the judge. The 15-month deadline on the murder charges expires Dec. 27, Donaldson said. Silver said no matter what happens, her client will likely be in a secure mental hospital "for the rest of his life." King scheduled a Nov. 5 competency hearing. "He will continue to receive treatment in hopes that he will regain competency," King said.